This is the group that has gathered over each style and I think I think Katsumi meeting , I want everyone to enjoy more and more Japanese dance real , and I want you to watch again . Formed in 1974 , we are active in and stage a variety of events to date . 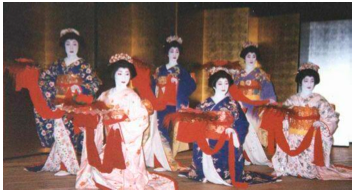 Features of Katsumi meeting will show us briefly and gracefully traditional dance , ( Fujimusume - Kyoganoko Musumedojoji Leng lion , , , etc.) of classical dance . And, of course , to dance in the Western from the fact that from the members is also a theater from Takarazuka , Shochiku song team , day-to-day drama , etc. will show us the stage with the tempo of change quickly , such as luxury of costume . Location that appeared to date acclaimed worked extensively PR of Japan Kokeraotoshi of theater , founding anniversary of the company , levee of people of foreign countries , exposition , of at foreign , in the package show of the singer is , it is dance group of the few professional in Japan . The continuous lion was Kabuki dance of Noh " Ishibashi " the Shakkyo ] , parent - child lion lion appeared . Representation of the test to the violent child and information deep parent and child in the first half , the lion dance and imposing and intense match the breath of parent - child lion lion in the second half . These two enjoy , our popular songs . Played first given the title of best " repertoire Japanese dance world , the best " or " the culmination of female impersonator dance " , long epic song is [ Kyoganoko Musumedojoji ] , those that aspire not only in Japan but also dance fan , a Japanese dance house There are a classic that can not let go to catch CONTENTS INTRODUCTION , many humans . 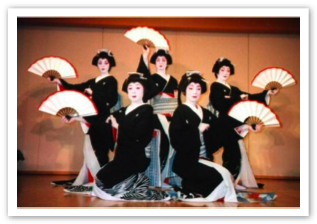 As a repertoire of traditional Japanese dance , too famous a song . And I think in May I say in Japan amateur dancer , and song , which becomes the object of longing in particular . It is enough to get one song pomp of stage equipment , the beauty of the costumes , the longing .